This beginner level course will get you up to speed and productive in no time with one of the most powerful and user friendly render engines currently on the market, Arnold. To get started, we will focus on the basics of rendering with Arnold. You'll learn how and where to begin rendering using two different render views. From here, we'll dive into more complex topics such as sampling and ray depth and eventually linear workflow. From there, we'll switch gears and begin looking at the various lights and major materials you'll be using when rendering with Arnold. Next, we'll look at some of the effects that are possible with Arnold. We'll learn how to create Depth of Field, Bokeh, as well as rendering out volumetric mediums. To wrap things up, we'll learn about Arnold's AOV system and how we can batch render out these pieces of information for compositing purposes. After completing this course, you'll be well on your way to producing stunning renders of your own using Arnold. 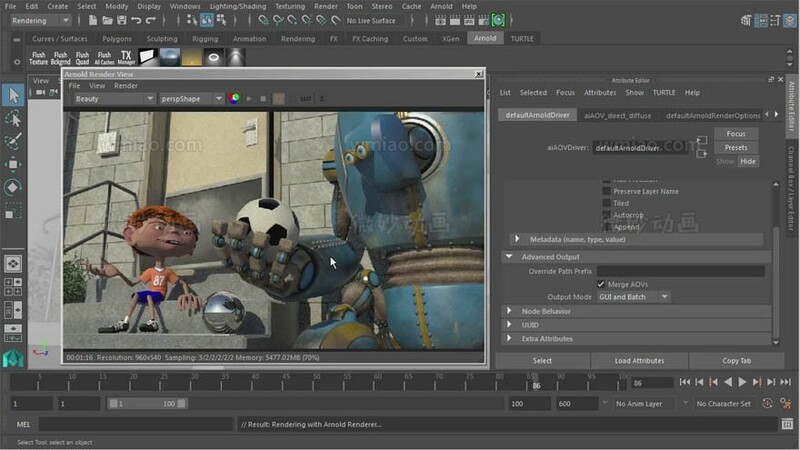 Software required: Maya 2016, Arnold 1.2.5.0.